Proper fertilization is critical to keeping your trees healthy. However, it’s not as simple as just spraying some store bought chemicals on your trees at certain times of the year. The type of tree, the health and condition of the tree, the location and desired growth rates are all critical in determining the right mix of fertilization. Our team of Louisiana Licensed & ISA Certified arborists have years of experience in evaluating trees and creating customized fertilization mixes. Fertilizing your trees at the appropriate time of year for the type of tree and its specific blooming season will provide them with the nutrients needed to be healthy, bloom and grow into an integral part of your home’s curb appeal, or your corporate landscape. 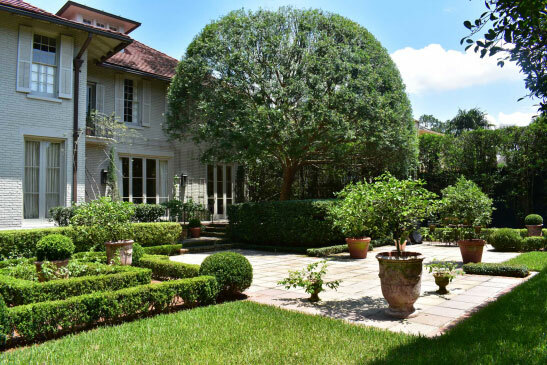 At Bayou Tree Service, our certified arborists have been extensively educated on tree care and fertilization. And, as Southern Louisiana tree experts, they are particularly experienced with the native trees as well as common transplants that can grow in our eco-climate. Not only that, but our arborists are able to inspect your trees to determine their current health and fertilization needs. Sure, if you’re a homeowner you can go to a home improvement store or nursery to buy fertilizer. But, do you really know if you’re using the right product and amount for the types of trees you have on your property? And, if you’re a commercial space owner, your landscaper may offer tree fertilization services, but are you certain they are as knowledgeable as our arborists who specifically went to school to learn about tree care and maintenance? Fertilizing your trees yourself, or having a landscaper do the project, can lead to several problems that affect the health of your trees. First, do you know what product to use? You may ask advice from a nursery or home improvement store, but only certified arborists like the ones at Bayou Tree Service have studied tree fertilization and nutrients to the point that they know which products are best to use on each native tree, depending on the tree’s current state and health. Second, you may not know the proper amount of fertilizer to use. Sure, there are directions on the back of the fertilizer bag, but those general “to-do’s” don’t take into consideration numerous factors including the type of tree being cared for, it’s current health, your microclimate and the time of year your tree blooms. And finally, if your tree’s health is in jeopardy, do you trust yourself - or the guy who cuts your grass - to diagnose the problems and develop a proper treatment plan to bring the tree back to proper health? Having served Louisiana and Mississippi since 1978, Bayou Tree Service has the experience needed to fertilize and care for all trees that grow in our region. We also have the technical know-how and artistic skill to ensure your trees grow and live on your residential or commercial property for years to come. To schedule a tree fertilization consultation with us so that we can recommend the right services for you, call (504) 608-0731 in Metro New Orleans or (225) 228-4289 in the Greater Baton Rouge area.